Anko Itosu is considered the father of modern Karate although the same title is sometimes given to Gichin Funakoshi (mainly because Funakoshi actually made Karate known throughout Japan). Itosu's year of birth is dated in various sources to 1830, 1831, or 1832, and he died in 1915. While he certainly did not invent Karate himself, his codification of the forms learned from his master, Sokon Matsumura, and the wide dissemination of his teachings to masters of the various traditions that had developed, make it a benchmark for any bona fide Karate instructor to be able to trace his lineage of teachers back to someone who at least for some period studied with Itosu. Itosu's style of Karate came to be known as Itosu-ryu in recognition of his skill, mastery and role as teacher to many. Master Itosu trained a great number of eminent Karate men, including Choyu Motobu (1857-1927), Choki Motobu(1870-1944), Kentsu Yabu (1866-1937), Chomo Hanashiro (1869-1945), Gichin Funakoshi (1868-1957), Moden Yabiku (1880-1941), Kanken Toyama (1888-1966), Chotoku Kyan (1870-1945), Shinpan Shiroma (1890-1954), Anbun Tokuda (1886-1945) and Kenwa Mabuni (1887-1952). 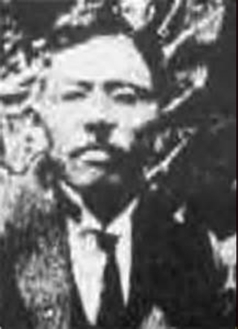 Anko Itosu served as a secretary to the last king of the Ryukyu Islands until Japan abolished the Okinawa-based native monarchy in 1879. In 1901 he was instrumental in getting Karate introduced into Okinawa's schools, creating and introducing the Pinan forms ("Heian" in Japanese, "Pyung Ahn" in Korean) as learning steps for students, because he felt the other forms ("kata" in Japanese, "hyung" in Korean) were too difficult for school children to learn. The five pinan forms were created by drawing from two older forms: kusanku (Korean: kong sang koon) and chiang nan (Korean: jae nam). Itosu is also credited with taking the large Naihanchi form (tekki in Japan) and breaking it into the three well-known modern forms Naihanchi Shodan, Naihanchi Nidan and Naihanchi Sandan. In 1908 Itosu wrote the influential "Ten Precepts (Tode Jukun) of Karate", thus reaching beyond the shores of Okinawa to the heart of Japan itself.